UPDATE (November 13, 2018): California Department of Toxic Substances Control scientists were able to access the SSFL site and assess data collected. “We confirmed that the SSFL facilities that previously handled radioactive and hazardous materials were not affected by the fire,” Russ Edmondson, the department’s media information officer, tells Los Angeles. “Our multi-agency team took measurements of radiation and hazardous compounds, both on the site and in the surrounding community. The results from this initial round of testing showed no radiation levels above background levels, and no elevated levels of hazardous compounds other than those normally present after a wildfire.” These preliminary findings are consistent with the previously reported information supplied by the CDTSC. 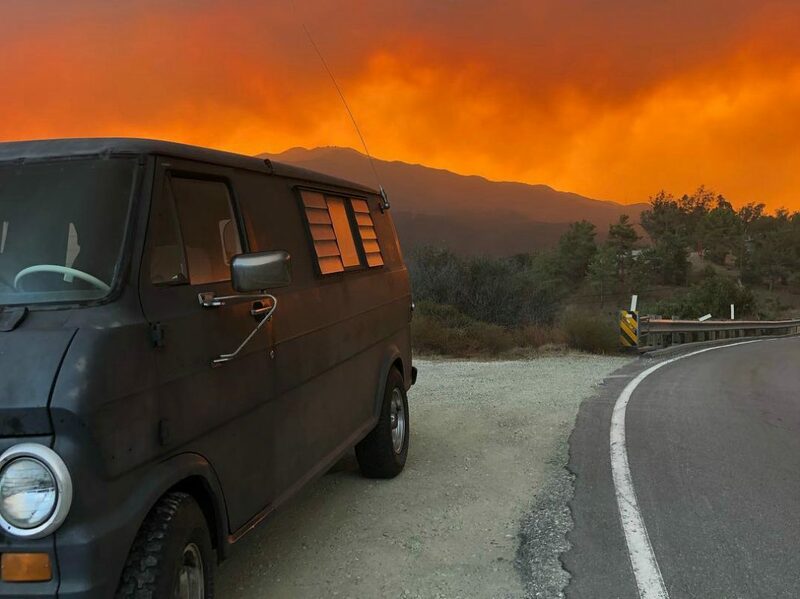 As the Woolsey Fire made its way across Ventura County, it burned around the Santa Susana Field Lab, a site that has been considered “significantly contaminated” by decades of rocket and nuclear reactor testing and a partial nuclear meltdown in 1959. There was alarm among some residents who worried smoke created near the hazardous site could prove particularly dangerous, but authorities from the California Department of Toxic Substances Control who oversee the site say there is no evidence that smoke from the area around the SSFL is any more dangerous than other wildfire smoke. Concerns about the SSFL site spread quickly around social media as people in the area saw burn maps that showed flames passing the facility and users shared a Forbes article that appeared with the headline “California’s Woolsey Fire Now Threatening Malibu Went Through the Site of a Nuclear Accident First”–which includes the California Department of Toxic Substances Control statement about the likelihood of increased danger in the body. Parts of Santa Susana Field Lab (Rocketdyne), where the #WoolseyFire started is highly contaminated and radioactive. Stay indoors. Do not breath the air. It is VERY DANGEROUS!!!!! Wait. Am I understanding the boundaries of the #WoolseyFire correctly? Is it approaching the Santa Susana Field Lab? As in the site of a long-undisclosed partial nuclear meltdown? The Department of Toxic Substances Control released a public statement claiming there was no immediate cause for concern about smoke from the site. “Our scientists and toxicologists have reviewed information about the fire’s location and do not believe the fire has caused any releases of hazardous materials that would pose a risk to people exposed to the smoke,” the statement read. The responding fire agencies from Ventura and Los Angeles Counties also consulted independent hazardous materials coordinators who agreed with the conclusion that toxic material from the site was unlikely to have been spread due to the fire, according to the document. Santa Susana Field Lab was used for testing by various agencies starting in 1947. The site–which was chosen in part because, at the time, it was far from residential development–was used to test rockets, weapons, and nuclear technology. There were ten experimental nuclear reactors at the lab, one of which went into partial meltdown on July 12, 1959. An effort to clean the site is ongoing, but has suffered numerous delays. Physicians for Social Responsibility Los Angeles is refuting the Department of Toxic Substances Control’s claim that the path of the Woolsey Fire isn’t likely to have resulted in particularly toxic smoke or ash. Dr. Robert Dodge, the organizations president wrote, “We know what substances are on the site and how hazardous they are. We’re talking about incredibly dangerous radionuclides and toxic chemicals such a trichloroethylene, perchlorate, dioxins and heavy metals. These toxic materials are in SSFL’s soil and vegetation, and when it burns and becomes airborne in smoke and ash, there is real possibility of heightened exposure for area residents.” Read their full statement here. CORRECTION: A reference to Santa Susana Field Lab being synonymous with Area IV has been removed. This article has also been updated to indicate that the Department of Toxic Substances Control’s statement was not released in response to the Forbes article. The Physicians for Social Responsibility statement was added.